This hat is perfect for so many reasons. It’s made using a beautiful daisy stitch with a pom pom on top. And it has a ribbed trim around the bottom. But the best part is the color! 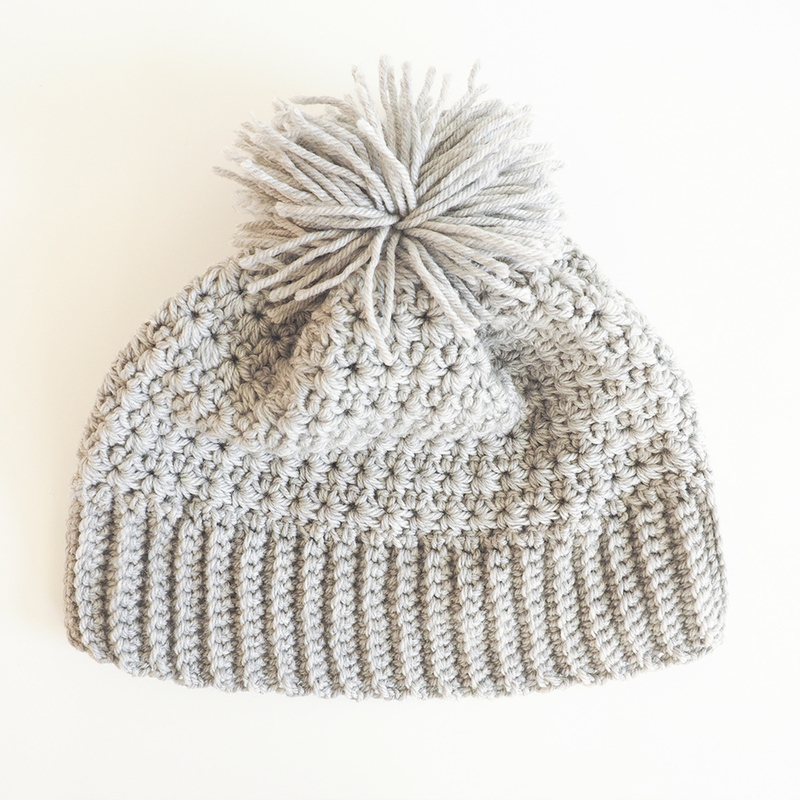 The beanie is worked in a 100% merino wool yarn in a beautiful silver. This shade is so stunning. It’s subtle and fun. The yarn is so warm and durable. It’s machine washable so you could wear it on a fall hayride or on the ski slopes this winter. It would make a perfect stocking stuffer or a fun gift from a secret Santa. 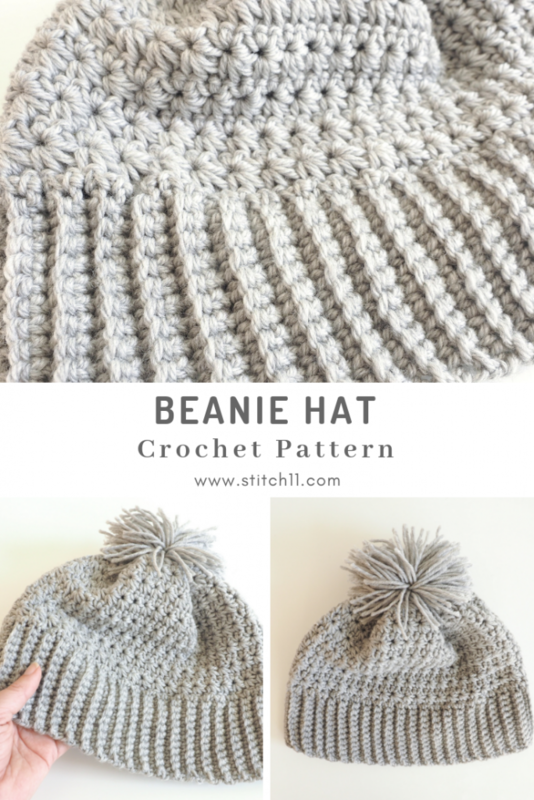 Whatever your plans are for this cozy hat, pick up a kit full of this beautiful yarn. Every kit has all the yarn you need, in the gorgeous silver heather hue, to create this project. And it has a detailed digital pattern to walk you through, step by step. Any questions you have will be answered right there in the pattern. What are you waiting for? 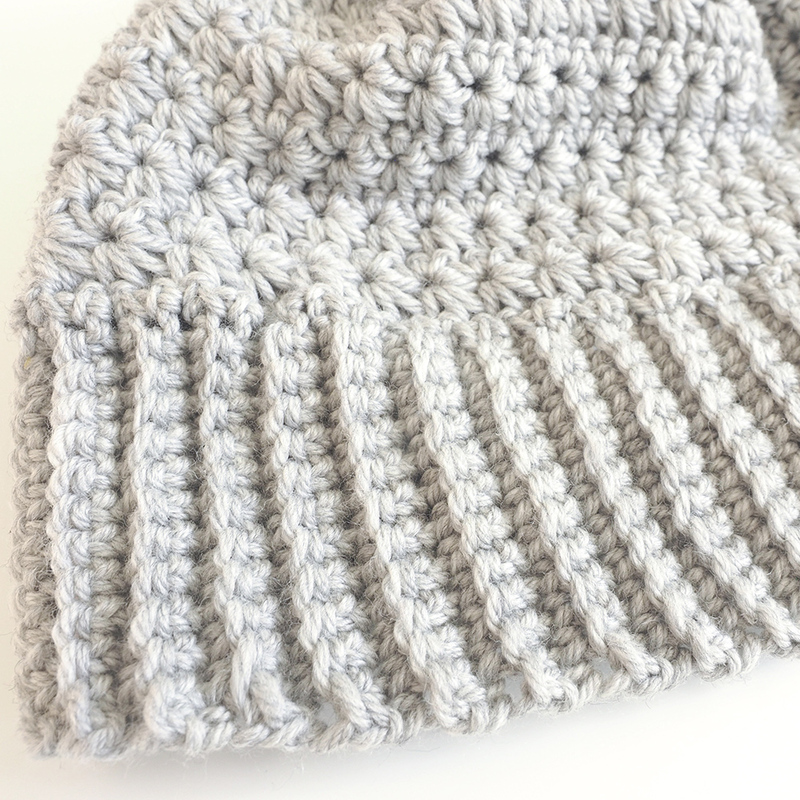 Gear up for two holidays at once with this Silver Beanie. Rows 2-89: Ch 1, turn. Sc blo into each st across. Turn the ribbed cuff portion you’ve completed. You’ll now start working across the long side of the ribbing. 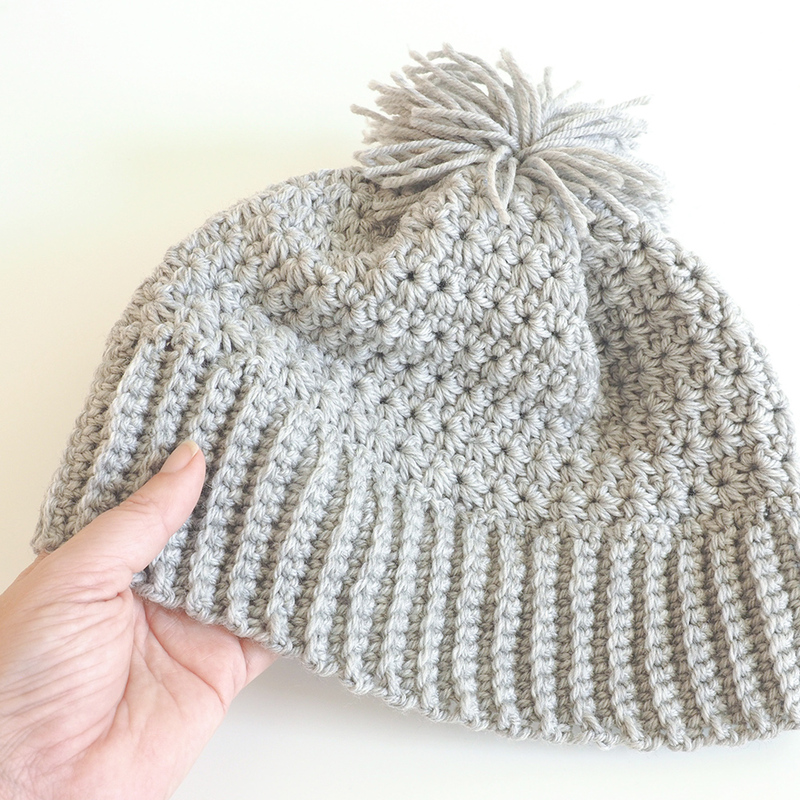 Fold hat in half, right side facing in and stitch together from ribbing to top of beanie. Turn hat right side out. Cut a 24″ piece of yarn. Using the darning needle with the yarn in it, weave the yarn in and out of the top edge of the hat all the way around (every few stitches) until you’re around the entire top. Cinch the two ends of the yarn together so that the top edge of the hat all comes together. When you’ve got it pulled as tight as you can, knot the yarn together and weave the yarn ends into the hat. Wrap yarn around a 7” piece of cardboard, 70 times. Lay the pom pom flat and tie a piece of yarn tightly around the middle. Trim sides of pom pom to liking and attach at the top of the hat. Weave in all ends. This beanie is a modern and bold Christmas present for someone challenging to shop for. It’s a warm and thoughtful stocking stuffer for a loved one or a fun hat for Autumn festivities. The Beanie Hat is so versatile and truly special. 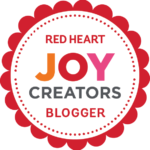 Get your kit here and start making your beanie today. Whoever you decide to give it to will be so blown away with your originality and impressive stitch work.